Australian police have arrested a Chilean woman living in Sydney over her alleged involvement in a kidnapping during the military rule of Gen Augusto Pinochet in the South American country. Adriana Rivas worked as a secretary for the infamous chief of Chile's secret police force, Manuel Contreras. Contreras died in 2015 while serving a sentence of more than 500 years for human rights abuses. Some 3,000 Pinochet opponents were killed during the 1970s and 1980s. Chilean authorities accuse Ms Rivas of having participated in the kidnapping and disappearance of the secretary-general of the Communist Party, Víctor Díaz. Ms Rivas, who is now 66, worked for Manuel Contreras from 1973 to 1976 at the National Intelligence Directorate (Dina), the secret police force founded by Gen Pinochet to hunt down his political opponents. More than 40,000 people were politically persecuted during the Pinochet era, which lasted from 1973 to 1990. The National Intelligence Directorate was at the centre of Gen Pinochet's campaign to silence opposition to his rule after he seized power in a military coup in September 1973. Its agents abducted, tortured, killed and "disappeared" thousands of people before the agency was replaced by the equally brutal CNI, an army intelligence battalion. In a 2013 interview with Australian broadcaster SBS, Ms Rivas described her years at the Dina, as "the best of my life". She described how she was given an allowance for clothes and invited to fancy balls, travelled in luxury cars and stayed at upmarket hotels. Asked about the torture carried out by Dina agents, she said that "they had to break the people - it has happened all over the world, not only in Chile". While Ms Rivas has denied taking part in any torture sessions, witnesses alleged in interviews given to documentary filmmaker Lissette Orozco that she was one of Dina's "most brutal torturers" who allegedly played a key role in the elite Lautaro Brigade, which was tasked with killing the leadership of Chile's underground Communist Party. Ms Orozco, who is Ms Rivas' niece, spent five years making a documentary about her aunt, which was screened at the 2017 Berlin film festival. Ms Orozco told BBC Mundo's Constanza Hola in 2017 that she had originally set out to tell her aunt's side of the story. But that as she found out more about Ms Rivas's involvement in the secret police, the film became a journey which shows the filmmaker increasingly confronting her aunt in conversations via Skype as well as talking to those fighting for justice for Dina's victims. Ms Rivas left the Dina in 1976 and moved to Sydney in 1978, where she worked as a nanny and a cleaner. 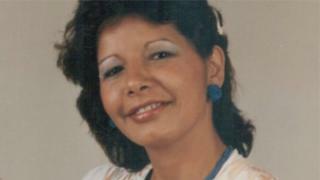 During a visit to her home country in 2006, she was arrested but while under investigation for her alleged involvement in the kidnapping of Mr Díaz, she returned to Australia. Chile filed an extradition request in 2013 but she was only detained on Tuesday in Sydney. Lawyer Andrea Navarro, who represents some of the relatives of victims of the Dina, said there appeared to have been "technical issues between the Chilean and Australian judicial systems" which had delayed Ms Rivas' arrest. Ms Navarro said news of her detentions had been greeted with "relief and satisfaction" by her clients. Ms Rivas is next due to appear in court in Sydney on 1 March. Bail has not been granted.